[The Reudigni, Aviones, Anglii, Varini, Eudoses, Saurines, and Nuitones] share a common worship of Nerthus, or Mother Earth. They believe that she takes part in human affairs, riding in a chariot among her people. On an island of the sea stands an inviolate grove, in which, veiled with a cloth, is a chariot that none but the priest may touch. The priest can feel the presence of the goddess in this holy of holies, and attends her with the deepest reverence as her chariot is drawn along by cows. Then follow days of rejoicing and merrymaking in every place that she condescends to visit and sojourn in. No one goes to war, no one takes up arms; every iron object is locked away. Then, and then only, are peace and quiet known and welcomed, until the goddess, when she has had enough of the society of men, is restored to her sacred precinct by the priest. After that, the chariot, the vestments, and (believe it if you will) the goddess herself, are cleansed in a secluded lake. This service is performed by slaves who are immediately afterwards drowned in the lake. Thus mystery begets terror and a pious reluctance to ask what that sight can be which is seen only by men doomed to die. 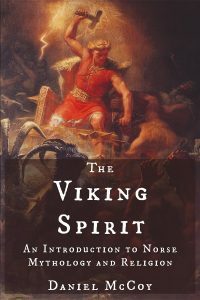 These traits – the cart that ritually processes from village to village and the laying down of arms during this time – are traits that were powerfully associated with the Vanir gods and goddesses, deities who presided over “peace and plenty,” during the Viking Age. Nerthus can comfortably be grouped with the Vanir, or can at least be considered to be something of a “proto-Vana” goddess. Nerthus’s name also suggests a connection with the Vanir deities. The Old Norse name of the god Njord is exactly what the Proto-Germanic name Nerthus would look like if it were rendered in Old Norse. Two main theories have been put forward to account for this. 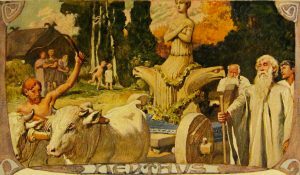 In the first, Nerthus and Njord form a divine pair, much like the other two Vanir deities whose names are almost identical to each other, Freyr and Freya. Proponents of this theory can also point to evidence from grammar and the frequent plural usage of the name “Njord” (effectively “the Njords”) in early Old Norse poetry. The second theory argues that Nerthus/Njord was a hermaphroditic deity. Given Tacitus’s identification of Nerthus with Terra Mater (“Mother Earth”), it’s also tempting to identify Nerthus with Jord (Old Norse “Earth”), the obscure mother of Thor. Simek, Rudolf. 1993. Dictionary of Northern Mythology. Translated by Angela Hall. 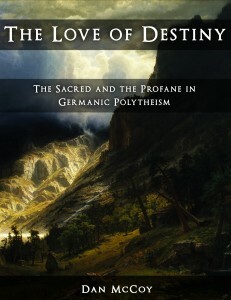 p. 230. Ellis-Davidson, Hilda Roderick. 1964. Gods and Myths of Northern Europe. p. 92-96.